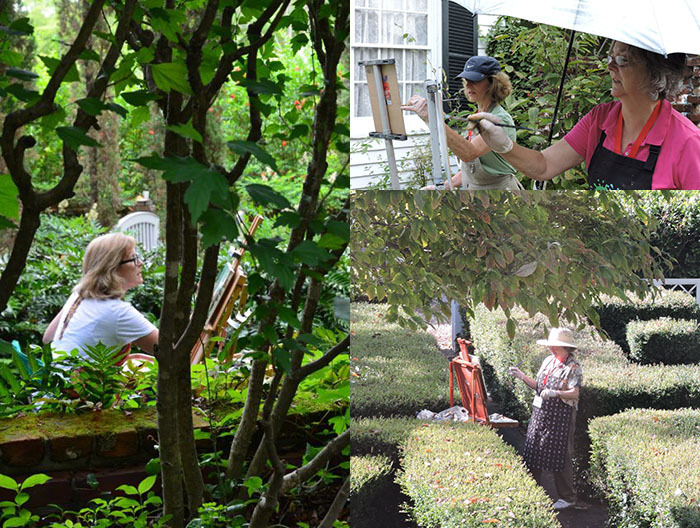 The Burgwin-Wright House hosted its first Paint-Out in September of 2013, inviting artists to paint en plein air in and around the gardens. A couple of years later, the artists' territory was expanded to include all of historic downtown Wilmington. The Paint-Out culminates with a wet paint sale and reception. A portion of the proceeds from the sale of paintings supports the preservation of the Burgwin-Wright House and its operation as a museum. Each time the public votes on their favorite painting for the "People's Choice Award" and staff selects a painting to serve as the poster image for the following event. Four additional pieces are selected to create an assortment of six note cards that are sold in the museum gift shop.